Regular Fit - Our regular fit suit leaves extra room in the shoulders, chest, and legs. 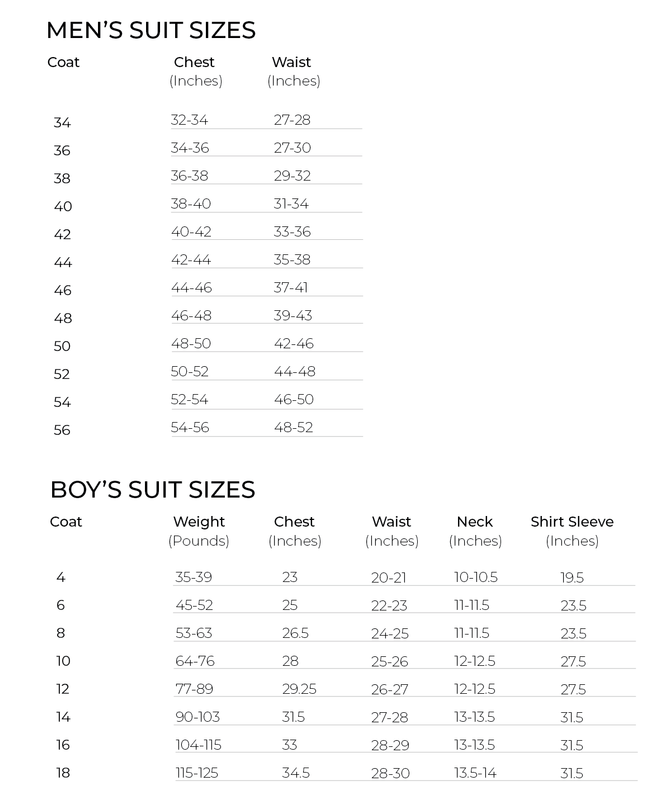 Use the sizing chart as a guide, but please contact us with any questions. Modern Fit - Our modern fit suit is trimmed in the chest, waist, and leg—in-between our regular and slim fits. Slim Fit - Our slim fit suit features slightly higher arm holes and is narrower in the chest and waist, with a trim leg—designed for a slim, modern silhouette.